It is not a dilemma that many coaches face, but then Jay Clarke is not your ordinary coach. At the age of 19, he believes he will become the youngest person in history to obtain a UEFA Pro Licence qualification, the highest coaching qualification possible in Europe, when he completes the course this summer. Not even 20 until June, Clarke left London with his family at the age of three and has been living in Spain ever since. He scored goals for fun for various clubs at youth level growing up, and at the age of 16, his family moved to the city of Granada to improve his chances of making it professional. But it was also at this time when, inspired by his father, his mind had started turning to coaching and he took his UEFA B licence. “It all started with my father really,” Clarke says. “He used to play when he was younger in the reserves of pro teams like Chelsea, Tottenham and Charlton Athletic. “Then when I was growing up, he coached my town’s team at age group level I was in and we won so many trophies that he was very admired. Clarke was told at a young age that the Pro Licence could take up to five years to complete, but by the age of 17 he had already obtained his UEFA B and A licences. He will have completed the set in four years. In 2017, Clarke signed for Spanish third-tier side Peña Deportiva, joining their under-19 side as a forward, but it was here that he got his first chance to put his practice into action. Required to undertake a six-month coaching placement to complete his Pro Licence, Clarke was initially tasked with looking after the under-sixes before being invited to join the first-team coaching staff by manager Dani Mori. There is certainly a big difference in the way coaches are developed in England and Spain. In Spain, the courses cost a lot less, €1,200 compared to £2,965 in England, but around 750 hours of coaching need to be completed, three times the amount required in England. As a result, there over 2,000 Pro Licence holders in Spain compared to a few hundred in England – and all of them have benefitted from more time to hone their skills. Clarke had to study six hours a day, two times a week and also had to complete some additional work online, as well as his coaching at Peña Deportiva. Clarke may only be 19, but he is already hugely confident in his methods as a coach. “I don’t believe you have to be older to be a coach, you just have to know you’re prepared and by starting so young, I think that (being prepared) will be very soon for me,” he says. “I always search for the progression of these young talents through good methodology and constant positive feedback to my players, trying to avoid negative comments that drain the confidence down of these players who need to shine. “My training methods are set out to create problems for my players to resolve in these exercises so they can find their own route to the solution by making mistakes and me guiding them to the right decisions at the right moment as that’ll be like how they are going to find themselves in the matches. “I believe this is the right path. 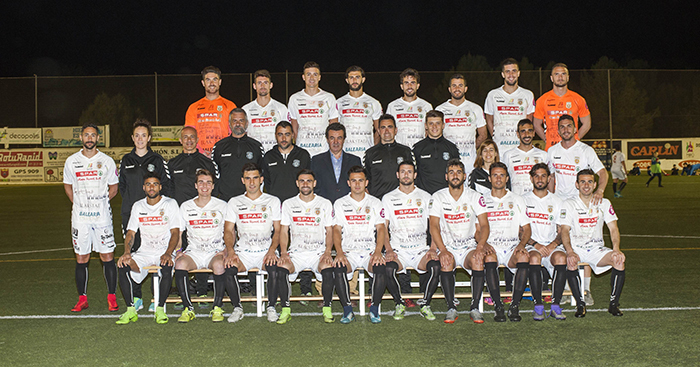 This was shown to me by a great professor of mine that now works at Granada CF. 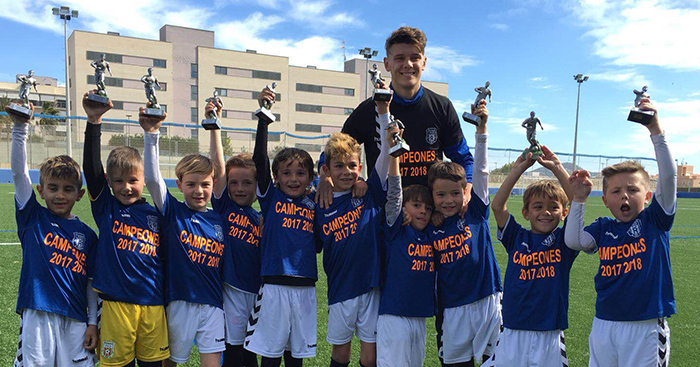 Clarke still maintains an interest in playing himself and has turned out for Alhaurín de la Torre and Guadix in the Spanish fourth tier this season, but his main aims for the future surround coaching – and he’s certainly not restricting himself to Spain. “I believe coaching has got a major future for me,” he says. “Right now, my objective is to go and coach in many other countries to gain experience, learn from new cultures and move around the world doing what I love. “One of my dreams would be to coach and play in the UK, it is where I was born at the end of the day, so I’m constantly trying to move back and coach in a pro setup and maybe play in the National League or something like that. Clarke is clearly full of hopes and ambitions, some of which may not come true, but having achieved what he has done already, frankly, who can blame him?